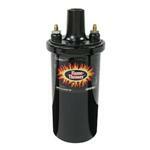 Complete your ignition upgrade with a high performance coil! 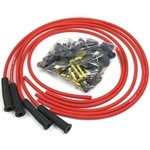 The Flame-Thrower is a 40,000 volt coil for use with the original Ignitor. 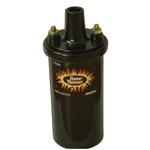 The Flame-Thrower II cranks it up a notch to 45,000 volts and is for use with the Ignitor II. Both offer these benefits. 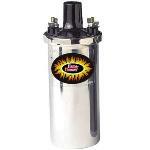 Maximizes energy and reliability over the full RPM range. 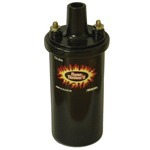 Enables larger plug gaps for greater fuel efficiency and more power. 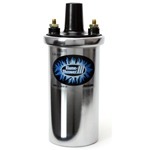 Delivers more spark energy and voltage. 40,000 and 50,000 volt coils can benefit any distributor type inductive system. Super low resistance produces up to 45,000 volts. 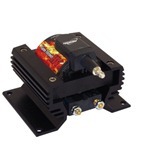 The new Flame-Thrower III coil was developed for use with the new Ignitor III electronics. 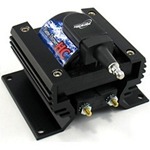 It is an ultra low resistance (0.32-ohms) 45,000-volt coil. 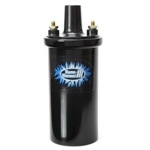 These new canister style coils were engineed to charge to peak current typically 30-70% faster the other coils. This means maximum spark energy is sustained to higher engine RPM. 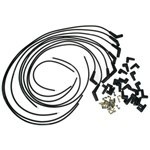 These coils are compatible with both the Ignitor II and Ignitor III electronics. They are available in both chrome and black finish for that "stock look".